Reclaiming The Empty Nest: Not Just Your Mothers Bedside Table! 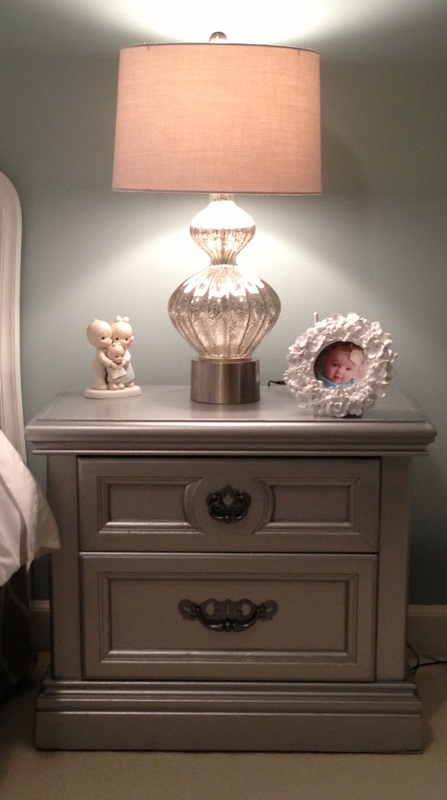 When repurposing the guest bedroom into the grandchildren nursery, I wanted a bedside table. I looked at mirrored furniture but it wasn't quite right. I saw my mother's bedside table and got an idea. You can view the nursery at Nursery. I painted it with silver paint. It gave me the look with out the $500 price for only $12. You can find these at Home Depot. For $5.48 each. I painted the furniture in Polished Silver and the hardware in Thundercloud. The Precious Moments firgurine is a gift from my parents: Adoption, because I was adopted. I love it and so appropriate for the nursery. I found the frame and the lamp at TJMaxx. I saved $488. More money for retirement! 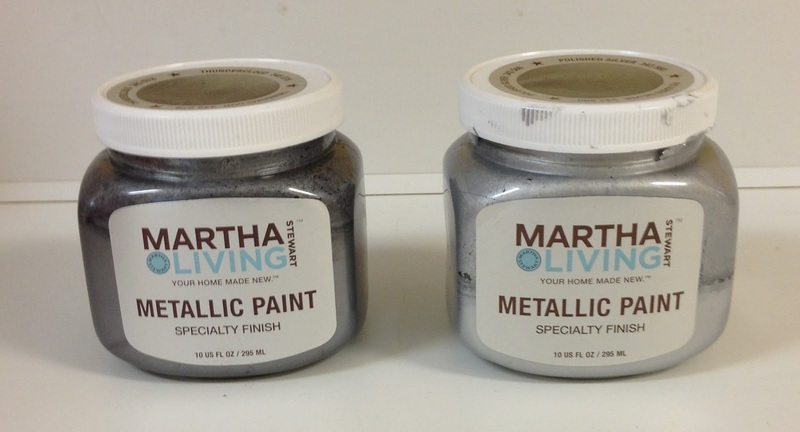 Did you just apply the paint as directed on the package - or did you do anything special? How did you prep the wood before painting? Looks good. I love it. If I did it over again I would lightly sand it before painting. Did you use any kind of primer? Also did you protect it with a top coat? Did you sand it prior to painting? I am looking to re-do mine in a gold-ish metallic. I absolutely love how yours came out. Too perfect!